This photograph was taken in one of a half dozen rooms on the main level of the King Mansion. The King Mansion is part of the Tarrytown House Estate on the Hudson complex. We had such an amazing day working with this bride and groom. They hosted an exquisite but intimate wedding for just 14 guests in the king mansion. Their wedding photography was very important to them and they retained me to come up from Long Island and capture their memories. We started our day with the bride getting ready in her balconied room overlooking the Hudson River. From there we travelled to Untermyer Park and Gardens in Yonkers, New York, about 20 minutes north of NYC. After the first look...the reveal...we spent about an hour exploring and exploiting every square inch of those magnificent gardens. Then it was back to the King Mansion for their outdoor wedding ceremony and their elegant wedding reception. 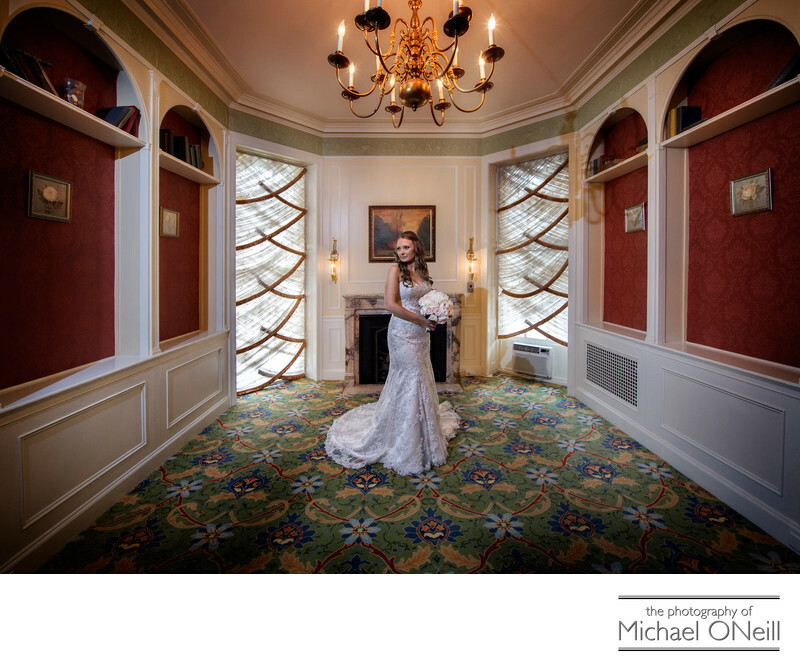 The architecture of the King Mansion lends itself beautifully to wedding photography. Large windows illuminate every room. Every room has a fireplace, consistent with it’s period heritage. Photo opportunities abound on this elegant estate and I can’t wait to get back there again.